Randy had a knack for knowing exactly who was tiptoeing up the stairs to pester him in his third floor studio. Before their foot touched the last step he’d call out their name, and either “Come on up” or “not now” depending on the depth of focus he was in at the time. 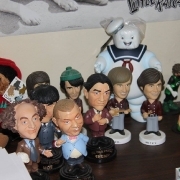 Most days Randy had music blaring, genres ranging from the Monkees to top forties. 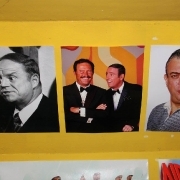 His studio decor was as eclectic as his music, and accentuated his kid like personality. 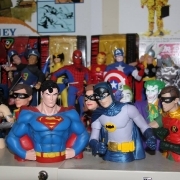 Not one but dozens of Captain Action figures and GI Joe’s stood on a shelf still in their boxes. 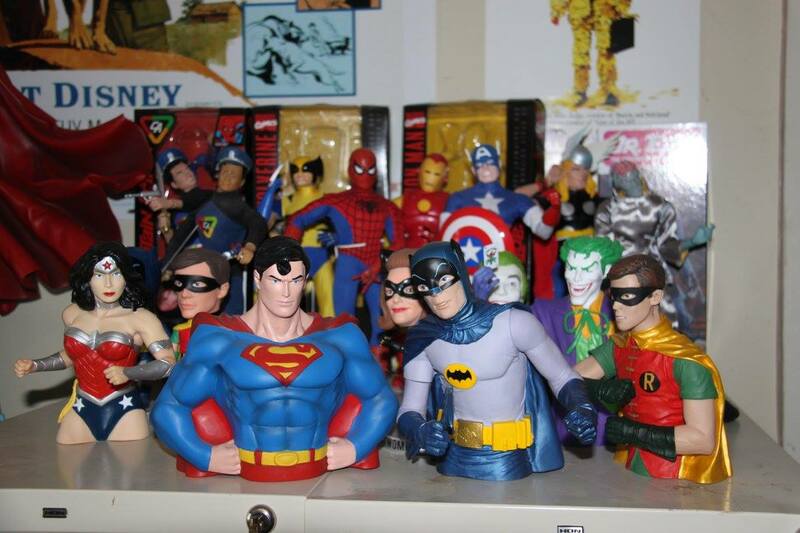 Randy relived his childhood one Amazon order at a time, and was thrilled to tell his kids and grandkids about the childhood action figures exactly like the ones displayed. 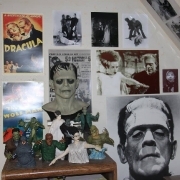 As visitors made it past his copier and the piles of “Xeroxed” cartoons, originals waiting for copy, and a trashcan overflowing with botched prints, they’d make their way past an eerily life like ape head with eyes and mouth that move and into one of two third floor rooms. 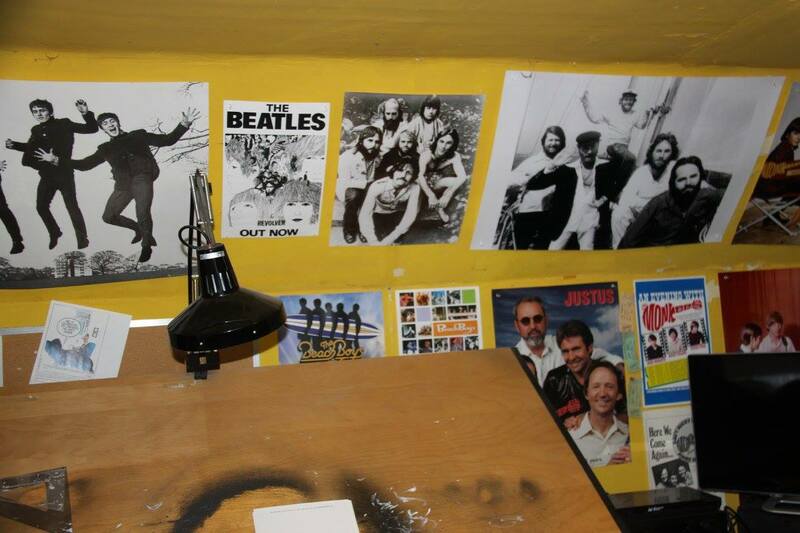 The “office”, or the “drawing room”. Music reverberating from the closed “drawing room” door, was a sure sign Randy was sitting at his drawing board working on his latest illustration. Usually found in pajama pants or cotton shorts, a pocket t-shirt (or in really hot weather, no shirt at all) and a pencil behind his ear or between his teeth as he erased lines striving for perfection. 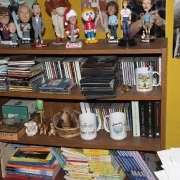 Beside him sat a book shelf full of office supplies, at least 10 of each item, a few books, and a couple of knickknacks he collected and placed there over the years. 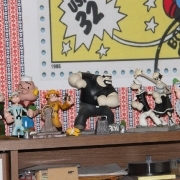 The bottom shelf was dedicated to spray glue residue and rubber eraser flecks. 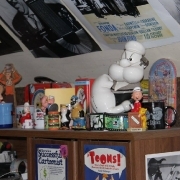 The trash can in the drawing room was larger than the others in his studio, and was always brimming with crumpled paper, black markers, pencil numbs, and in his early days, a banana peel or apple core. 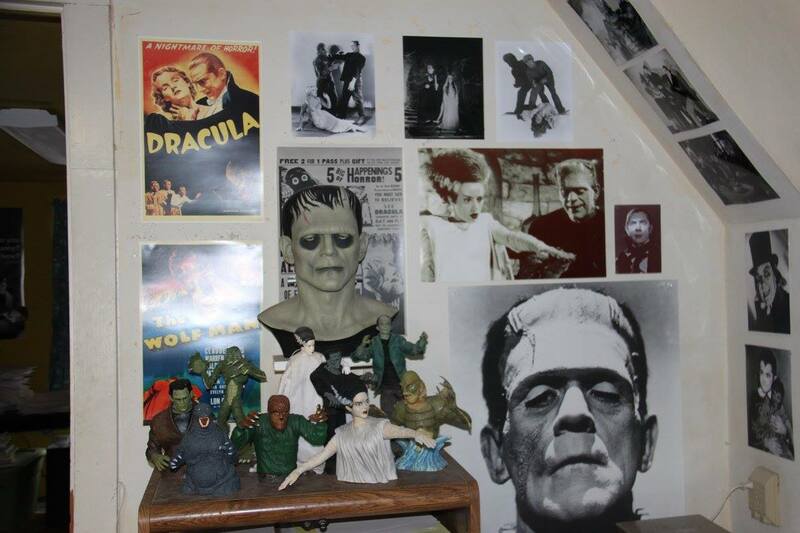 His drawing room housed stacks of gags typed up without illustrations, hundreds of CD’s later replaced by iPods, a small television usually tuned into one of several judge shows, and a large Frankenstein head sitting on a shelf adjacent to the drawing board. 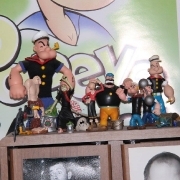 The floor was typically littered with rubber eraser particles, copies of books published with his cartoon contributions, and any number of items yet to be stowed away for safe keeping. 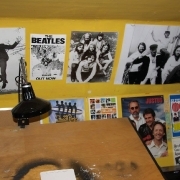 Every wall in Randy’s studio was adorned with posters meticulously sought after online, purchased, and particularly placed in just the right spot. 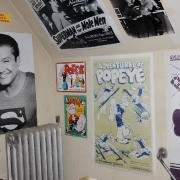 Posters ranged from old Marks Brothers prints, Monkees memorabilia, an autographed Cat Woman headshot of Lee Meriwether, to his favorite contemporary artists. 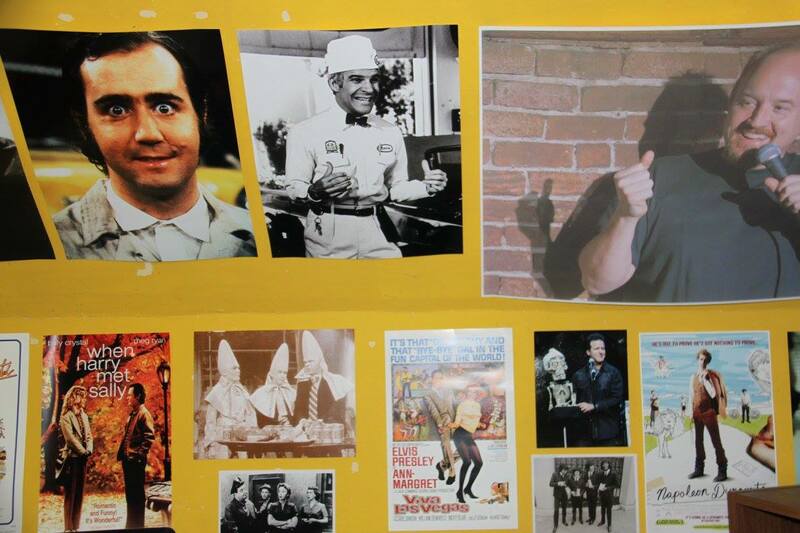 Randy once shared that it was easier to hang posters than paint the walls-to this day they are a bright yellow. 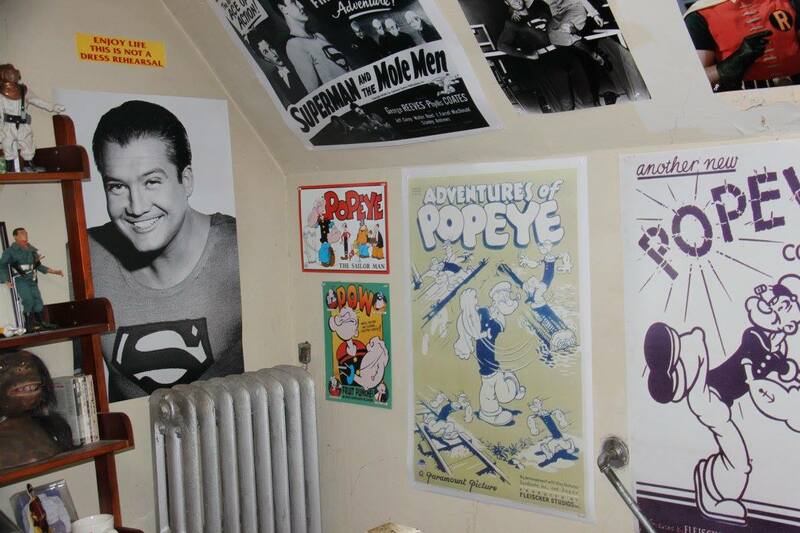 The second room in Randy’s studio was his office, also carefully decorated with an array of posters. 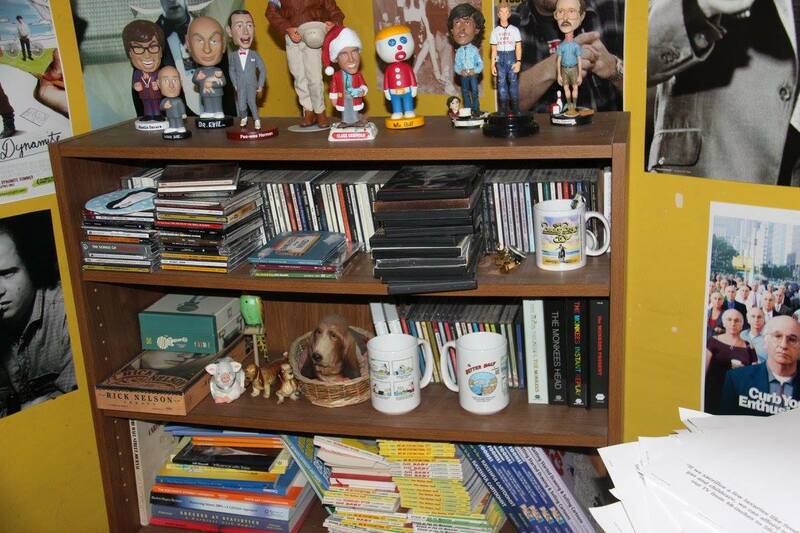 Here Randy sat at one of two computers, answering emails, typing cartoon captions and listening to his iTunes playlist or internet radio. 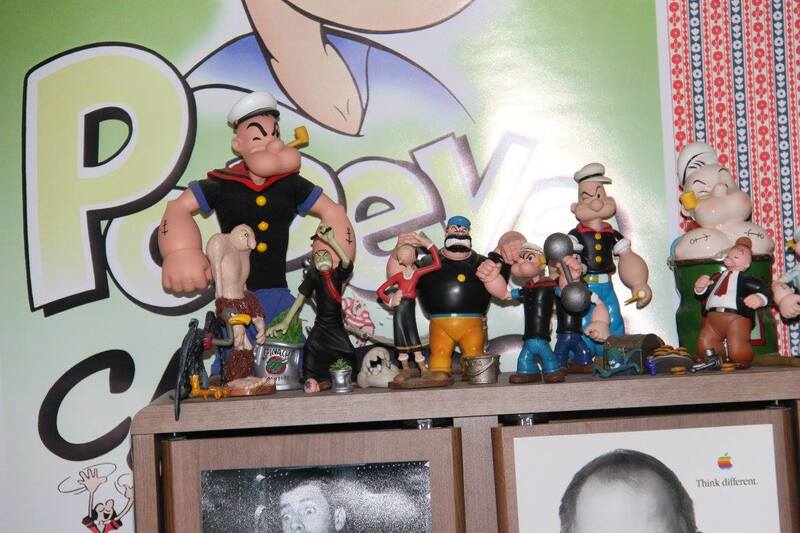 While his desks were meant for computers and office essentials, the majority of desk space was dedicated to his Popeye collection. 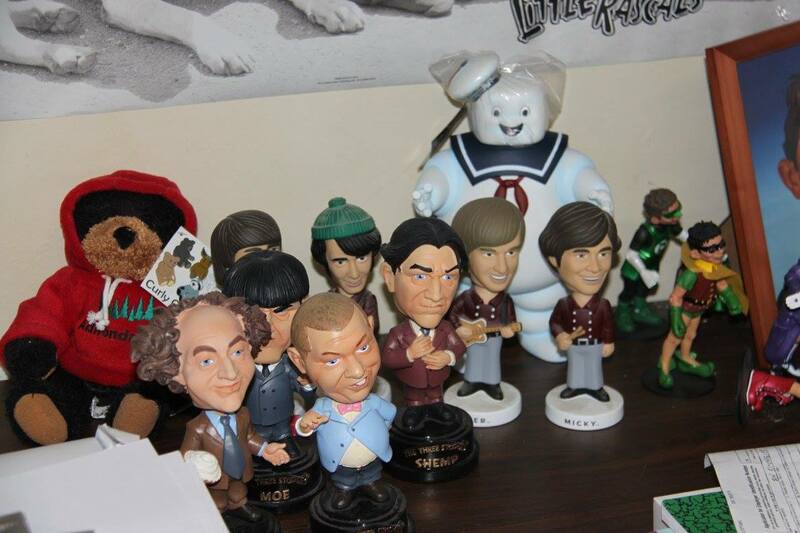 This collection ranged from salt and pepper shakers, mugs, figurines, clocks, and anything else he could find online. 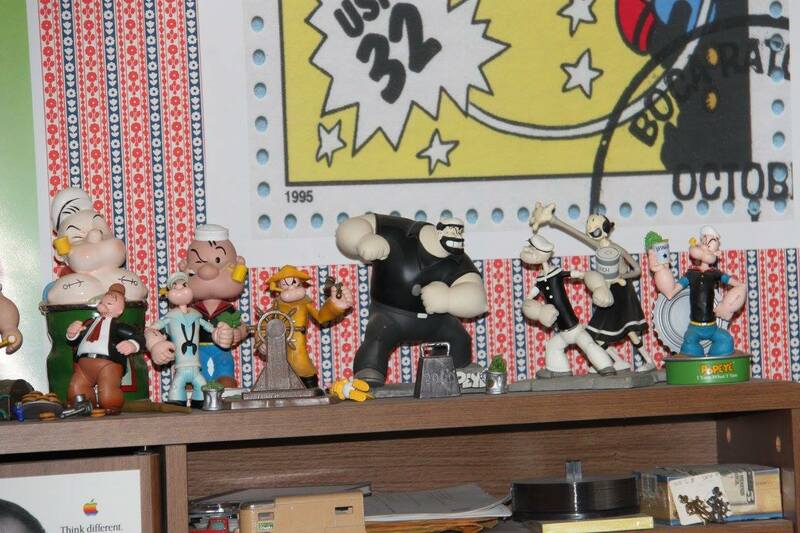 On another wall stood two large filing cabinets- Randy’s daughters’ attempt at organizing 40+ years of cartoons. 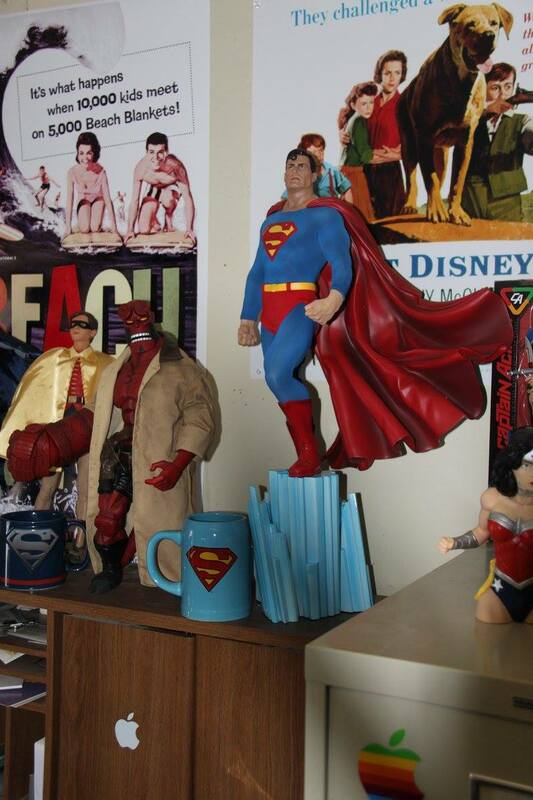 Topping the cabinets more action figures of course, including a 2-foot plastic statue of Superman. 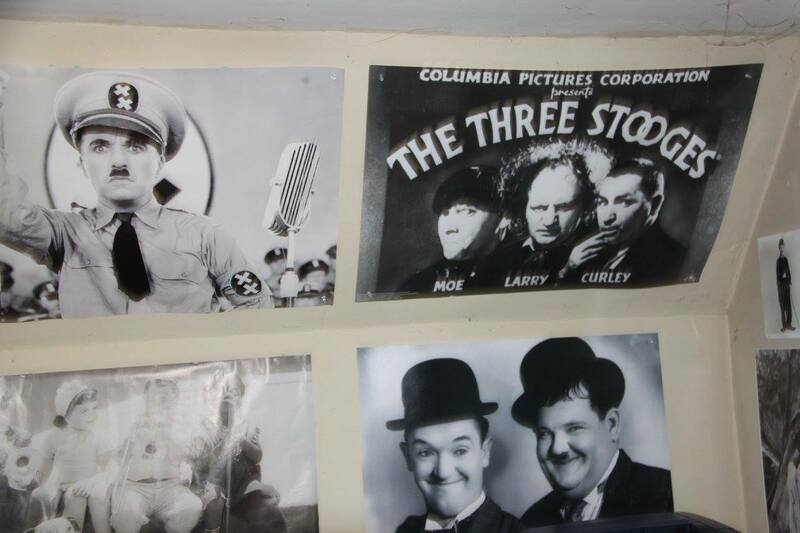 His studio was also home to numerous four legged friends over 32 years. Rusty and Spazz his guinea pigs, later replaced by Oreo and Zeppo, a long line of cats that enjoyed laying on his feet, and one of several basset hounds found snoring in the corner. 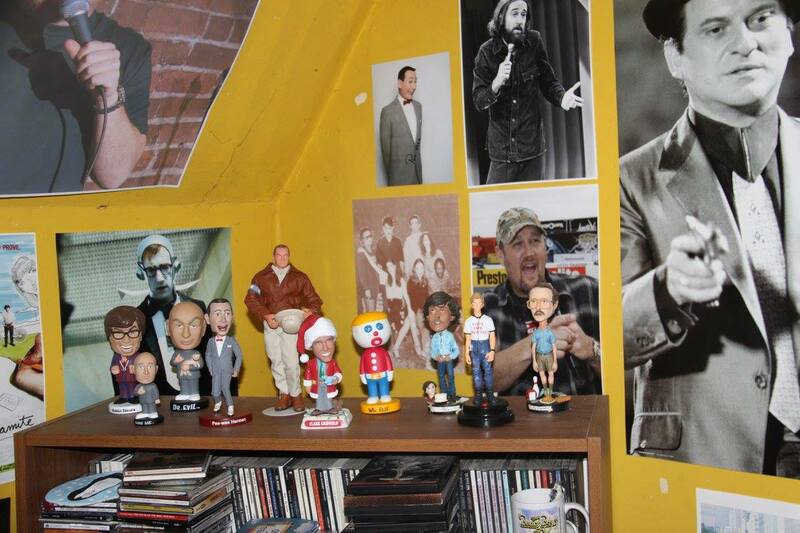 Randy’s creativity left no time for housekeeping. 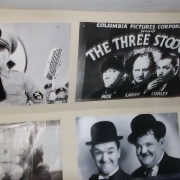 Scattered throughout his studio were large coffee mugs usually with the last two sips of coffee remaining at the bottom and empty diet Pepsi cans. 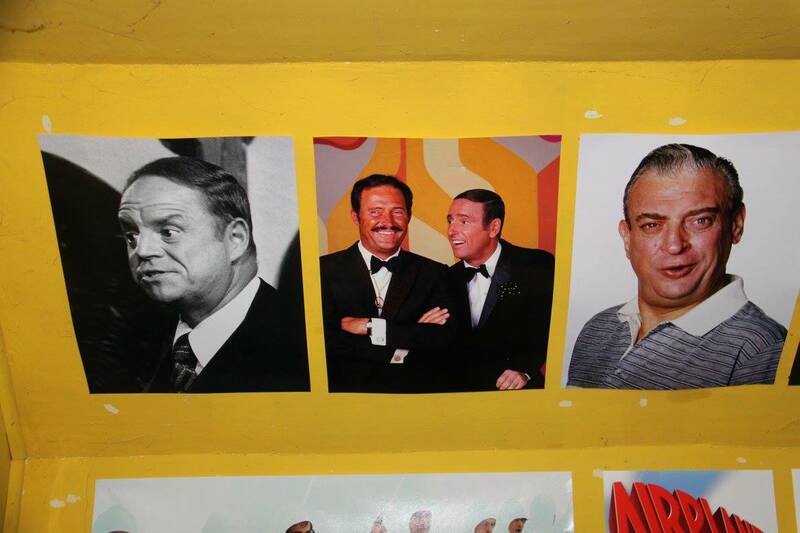 Each of Randy’s three daughters spent a stint of time making extra cash by cleaning his studio. 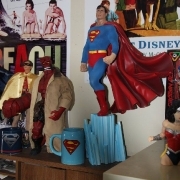 This included vacuuming eraser dust, emptying three trash cans overflowing with flawed creative efforts, gathering dozens of dirty coffee mugs, and collecting enough diet Pepsi cans to buy a small car. 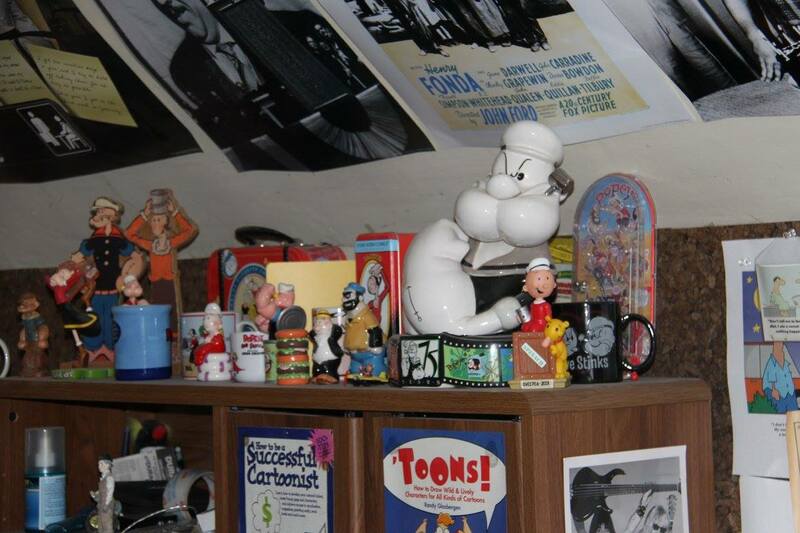 Randy’s third floor studio was as prolific as his cartoons. 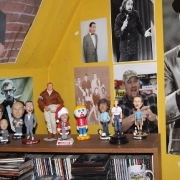 Displayed here is only a glimpse into the eccentricity that was Randy Glasbergen. 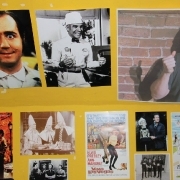 His creative haven was a space not easily duplicated but worthy of appreciation.